THOUSANDS of residents and visitors were delighted by Stockton Council’s annual thrilling fireworks display which took place last night. The stunning firework display by local pyrotechnic firm, G2 was synchronised to Queen classics such as ‘We Will Rock You’, ‘We are the Champions’ and ‘Bohemian Rhapsody’. Before the fireworks began crowds were treated to a set of live music from Tees Valley band, the Collectors Club as well as the BBC Tees Roadshow hosted by Alistair Brownlee and Paul Gough. Stockton Council's Cabinet Member for Arts, Leisure and Culture, Councillor Ken Dixon, said: “We know our annual fireworks display is a much loved community event and this year was no exception with thousands of people of all ages coming into the Town Centre to watch the display. “Not only are these events free for local people to enjoy, but an organised display is considerably safer than privately organised displays in residents’ gardens. The event also provides a boost for local businesses and the Borough’s economy. “We have a world-class, year-round events programme here in Stockton and last night’s event was another successful example of what we have to offer to provide amazing experiences for our residents as well as encouraging those from further afield to visit Stockton and boost local trade. The event which is organised by Stockton Council is supported by Stockton Riverside College. on the banks of the River Tees at Stockton. biggest and best FREE Fireworks display . Stockton's night sky will once again become a blaze of light and colour as the Borough’s annual firework spectacular brings a rock theme to the Riverside. On Tuesday 5 November residents and visitors will be able to celebrate 40 years of legendary rock band Queen with a powerful performance of the band’s greatest hits as the sky is lit up with an amazing array of pyrotechnics. 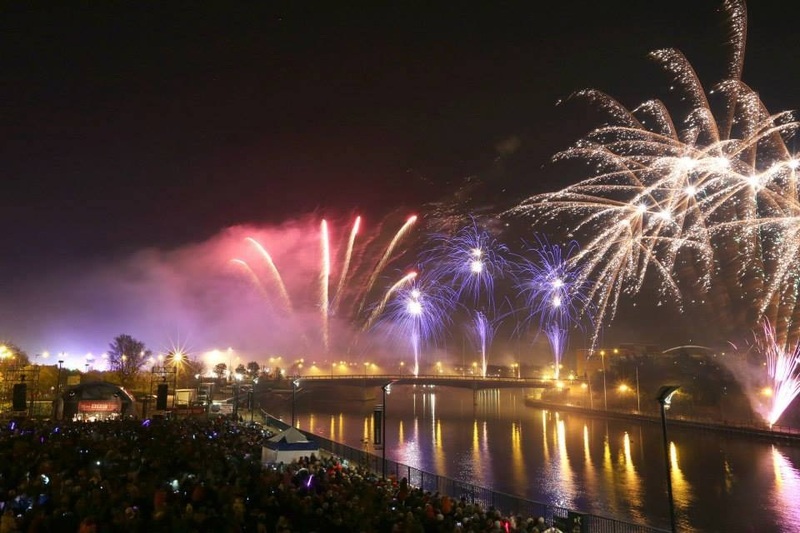 The free event which is organised by Stockton Council is one of the largest displays in the country and attracts thousands of people to Stockton’s Riverside. From 6pm BBC Tees will kick off the evening with a live radio broadcast from the site. There will also be a fun fair in the Dairy car park (opposite Riverside Road car park) and a range of street stalls serving hot and cold food and drinks. The stunning firework display by local pyrotechnic firm, G2 will be synchronised to Queen classics such as ‘We Will Rock You’, ‘We are the Champions’ and ‘Bohemian Rhapsody’. It will start at 7.30pm and will finish by 8pm. 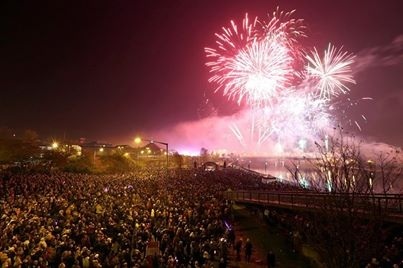 Councillor Ken Dixon, Stockton Council’s Cabinet Member for Arts, Leisure and Culture, said: “This is one of the biggest free firework displays in the country so make sure you come and join us for one of the highlights of the Borough’s event calendar – Stockton’s fantastic firework spectacular!